Advances in network technologies and interface design are enabling group activities of varying complexities to be carried out, in whole or in part, over the internet (e.g., citizen science, Massive Online Open Courses [MOOC] and questions-and-answers sites). The need to support these highly diverse interactions brings new and significant challenges to AI: how to design efficient representations for describing online group interactions, how to provide incentives that keep participants motivated and productive, and how to provide useful, non-intrusive information to system designers to help them decide whether and how to intervene with the group’s work. Dr. Gal will describe two ongoing projects that address these challenges in the wild, and discuss the potential societal and ethical implications of this work. 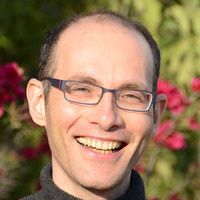 Dr. Ya’akov (Kobi) Gal is a faculty member of the Department of Software and Information Systems Engineering at the Ben-Gurion University of the Negev, and an associate of the School of Engineering and Applied Sciences at Harvard University. His work investigates representations and algorithms for making decisions in heterogeneous groups comprising both people and computational agents. He has worked on combining artificial intelligence algorithms with educational technology towards supporting students in their learning and teachers to understand how students learn. He has published over 60 papers in highly refereed venues on topics ranging from artificial intelligence to the learning and cognitive sciences. This lecture satisfies requirements for CSCI 591: Research Colloquium.